There is Brian’s vision and there is mine” said Tony Mortimer about former bandmate and East 17 lead singer Brian Harvey in the documentary featuring the rise, fall, resurrection, and acrimonious split of East 17 – one of the few British boybands whose music has truly stood the test of time. If there was ever any ambiguity as far as the authenticity of that statement, there no longer should be any after one listen of the new East 17 single “Can’t get you off my mind”. A band’s musical style is very much a reflection of its primary songwriter’s musical vision. In the 90s, Tony Mortimer was at the helm of songwriting for East 17 but the “voice” of the band was Brian Harvey – known for his achingly beautiful and smooth vocals. There was undoubtedly an acrimony between the two of them which erupted after a media uproar triggered by Brian boasting about his use of the drug Ecstasy and suggesting that there is nothing wrong with the drug on an interview. Brian was fired from the band and the first incarnation of East 17 ended soon after. This marked the beginning of a few band reincarnations and stylistic changes that are worth mentioning before diving into the details of the new single. In 1998, Brian Harvey, Terry Coldwell, and Johny Hendy reinvented themselves as a R&B trio called “E-17” and released the album “Resurrection”. The album spawned two top 20 UK hit singles. The album’s lead single “Each Time” peaked at #2 on the UK singles chart. Not only did the album reveal Brian Harvey’s strong R&B leanings but it also showcased his proficiency with that genre. It is a shame that the E-17 trio had a short commercial lifespan. There truly were some great moments on that album – including “Each Time”, “Betcha Can’t Wait” and the cover version of Stevie Wonder’s “Lately”. In 2006, Tony Mortimer reunited with his former bandmates for a sold out one-off gig in London and performed a new song titled “Wild”. This song was very reminiscent of the “rap/pop” hybrid style that the band had mastered in the 90s and made their own. Sadly, the infamous fight between Brian and Tony spelled the end for that song and it never saw the light of day. If that song has actually been recorded, it might potentially turn into a highly prized collector’s item. In 2011, Tony got his former bandmates (minus Brian Harvey) together and brought new lead singer Blair Dreelan into the fold. Their first single “Secret Of My Life” sounded like something on a later Backstreet Boys album (and I mean no disrespect whatsoever to the Backstreet boys; their first album was actually very good!). It did not have any of the ingredients that Tony Mortimer had suggested the new material would have in television interviews. My guess is that Tony was talking about every new song other than “Secret Of My Life”. Blair’s stint with East 17 ended not too long after “Secret of my life” was released. A few days ago, the music video of the new East 17 single “Can’t get you off my mind” surfaced. The song definitely reiterates how divergent the musical visions of Brian Harvey and Tony Mortimer were. 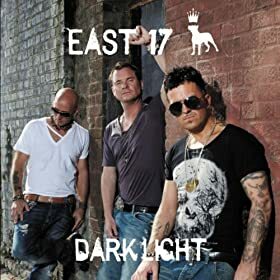 It marks East 17’s first foray into the “Adult Alternative” genre of music that has gained a lot of popularity in the US over the past decade and a half. The song has a very rock-based and guitar-driven “live” sound. In a nutshell, it sounds nothing like anything East 17 has ever recorded and hence marks yet another stylistic incarnation of the band. In fact, this sounds more like a natural progression to some of Tony Mortimer’s solo work. So far, I have conveniently failed to address what I think of the new single. I should probably first highlight the song’s merits. First, it is great to see East 17 taking bold strides into musical territory that has been previously uncharted by them. Second, Tony Mortimer’s vocals actually suit this genre of music. Third, the song’s soaring chorus (“I…just can’t get you off my mind..driving me crazy…driving me crazy!! !”) is what every great pop song should have. So if the song has so much going for it, why is there a reluctance to gush with praise? The song’s verses are generic, middle of the road, lyrically stale, and not particularly memorable. Fortunately, the song has a memorable chorus that compensates for its rather underwhelming moments. East 17 was never a band that had to rely on a section of a song to compensate for the rest of the song. On that dimension, the song disappoints but overall, it marks a move in the right direction for the band and is definitely a better precursor for the new album “Dark Light” than the last single “Secret of my life” was. Change is good but the question of consequence is whether or not fans will embrace the new and revamped East 17. More importantly, will the fundamentally new band win over new fans? Artists face the unfortunate reality of competing with their musical legacy with every piece of work they create. East 17 is no exception to that phenomenon. Their new material will undoubtedly be measured against classics like “Hey Child”, “Deep”, “Around the world”, and “Stay another day”. Will the new single measure up? That is a verdict that lies in the hands of fans. So without further ado, I present to you the music video of East 17’s new single – “Can’t get you off my mind”. So what do you think of the new single? Feel free to comment and let us know! 6 Responses to "East 17 showcases a new incarnation on their new single"
@Kim: Thanks so much for your comment! I am glad you like the song. Obviously, East 17 has set a pretty high benchmark with their musical legacy and sometimes it can be daunting trying to top that or mirror that in any way. Of the samples I’ve heard so far from the new album, “Broken Valentine” seems the most promising. The string arrangements on the song are beautiful. @Ovi: Brian’s vocals are amazing and it is true that on his own, he is doing a lot of auto-tuned and generic R&B. While I think R&B suits his voice, the auto-tuning is awful. It is a shame when the creative force of a band is split into two halves that cannot really work together. It’s magical when the two entities can work together. @Ovi: Not too sure about the comment about brian’s music being for gay people. I know a few gay folks and they actually have impeccable taste in music. Bring back Brian Harvey, brilliant voice, end ov, like new song good luck lads.